Colombo-based digital marketing agency, Enfection, has announced a creative content partnership with Canon Asia for the Asian Games 2018. This partnership makes Enfection the first Sri Lankan agency to be chosen to represent a regional powerhouse such as Canon Asia at an event of this magnitude. As the biggest multi-sport event after the Olympic Games, the Asian Games is the most prestigious event organised by the Olympic Council of Asia, with the 18th edition taking place in Jakarta-Palembang in 2018. In its capacity as an event sponsor, Canon Inc. offers behind-the-scenes support to media members to enable high-quality coverage of the event. Canon Asia identifies ‘content’ as a key area in their consumer engagement strategy during the Asian Games, making Enfection an immediate contender, thanks to an impressive catalogue of engaging content and innovative strategies that constantly reimagine digital marketing for local and international clientele. 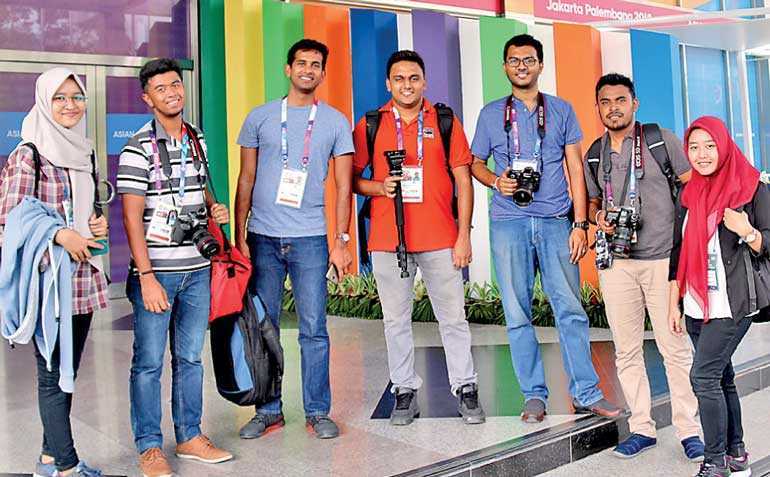 Now the official content partner, an 8-member team from Enfection works closely with Canon live from the event venue, to create high quality content and amplify Canon’s presence at the Asian Games across social media. Recognised for unique value propositions delivered through a one-of-a-kind digital marketing transformation framework, Enfection is now responsible for over 400% growth for various brands through lead generation, greasing up the funnel, CRO or pure revenue generation digitally. They are further identified as a key component in the digital growth of brands such as Audi, Stax Inc., CDB, HNB Assurance, Hayleys Omentra and international brands such as Canon, CooperVision, Invisalign, Darlie, Friso, DutchLady, 42Crunch and Keethings.